Brad Curren blistered Bear Creek under rainy conditions all day with a one under par round of 71. Mark Hollingsworth was second ten shots back at 81 followed by Dennis McCormac at 84. 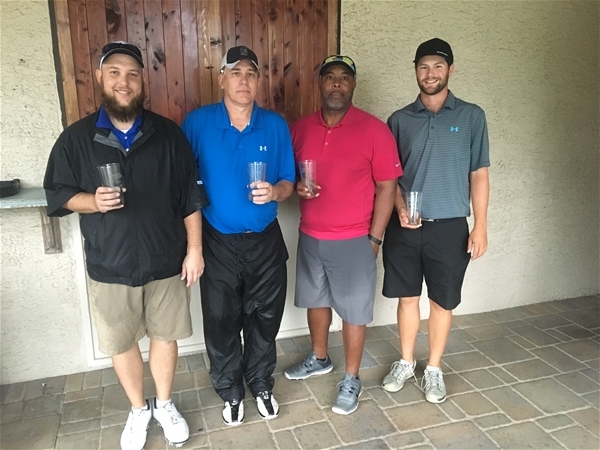 Greg McCoy from the Charlotte tour proved he was a good muddier as he won by one shot with 80. Bob Dorton finished solo second at 81 and Randy Dees, Mike Peters and Mickey Smith all tied at 84. Todd Saylor wins with 87 followed by Paul Sherry at 90. Gene Williams was third at 92 and Rick Mannelli was fourth at 96. Brandon Priester wins for the first time this year with 89 followed by Carey Brinson at 97. Tee Times: Shotgun start on both days. Please make your caddie request through the Ocean Course Golf Shop at (843) 266-4670 or email the Caddie Master Brandon Woods (Brandon_woods@kiawahresort.com). Players pay in advance to ensure that the course has enough caddies available.